As I have mentioned numerous times I love to sew. I spend much of my free time stitching away. For years I've had a small Etsy & Facebook show specializing in handmade bunting banners and children's clothes. Over the last few years I have also gotten into testing patterns for designers. This week I tested these adorable shorts from Peek-A-Boo Patterns. The Baja Shorts are available in sizes 3 months to size 12. This makes a great buy for someone with multiple kids. These shorts can be made in woven, knit or a swim short fabric. They even include an optional lining!! I love these as everyday shorts. Even with the side accent panel and the pocket detail they sew up in less than an hour from printing to finish. I tested the 6 month size for Farmgirl 2. I was excited that they covered her cloth diapered bottom well. CD mommas know that can be an issue. I really enjoyed this pattern and the fact that one pattern can cover all of my kids size ranges without having to purchase 2 or 3 different versions. Grab your copy today for only $7.95 here! 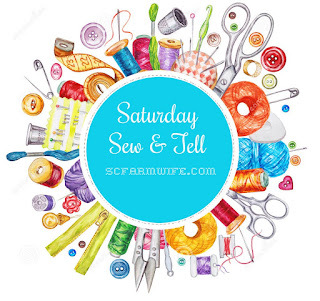 So what have you sewn up this week? Share in the comments section! Welcome Back & World Milk Day!! Every time I would look at the blog, my header, the layout and design I would get bogged down and realize that the old style didn't represent me or my life anymore. until I finally decided to get myself in gear and do something about it! new design and re-tagged blog! 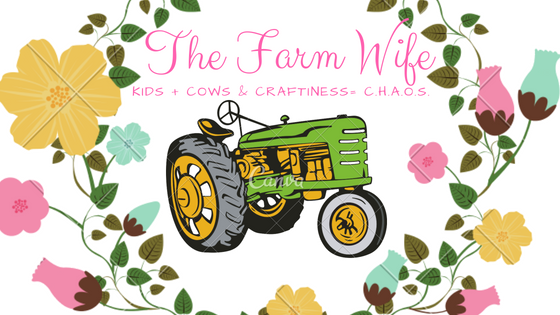 I'm a dairy farmer's wife, a mom to 4 littles, an avid sewer, and most importantly a woman seeking a deeper relationship with my Savior. What does C.H.A.O.S. stand for other than well chaos?? That pretty much sums me up in as few words as possible! I started blogging 9 years ago this month as a way to let others get a glimpse into farm life and help answer any questions folks might have about the dairy. This blog has become so much more than that to me. It's an outlet. So I'm happy to have each of you here to visit and "chat" with me! If you have questions, comments or want to share stories just leave a comment! The only thing I ask is that everyone is respectful of everyone else and their opinions. We will never all agree on everything but I do think we can all be respectful to each other and varying opinions. If I deem comments to be disrespectful I reserve the right to remove them from my blog! And even better you are here for #WorldMilkDay!! 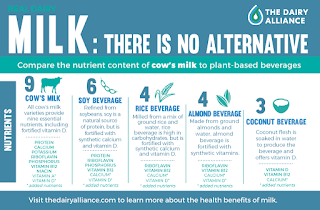 Organized by the Food and Agriculture Organisation of the United Nations the purpose is to celebrate the importance of the dairy to everyone. The nutritional benefits have been well researched and well established. Not to mention there is no substituting it in nutritional value! 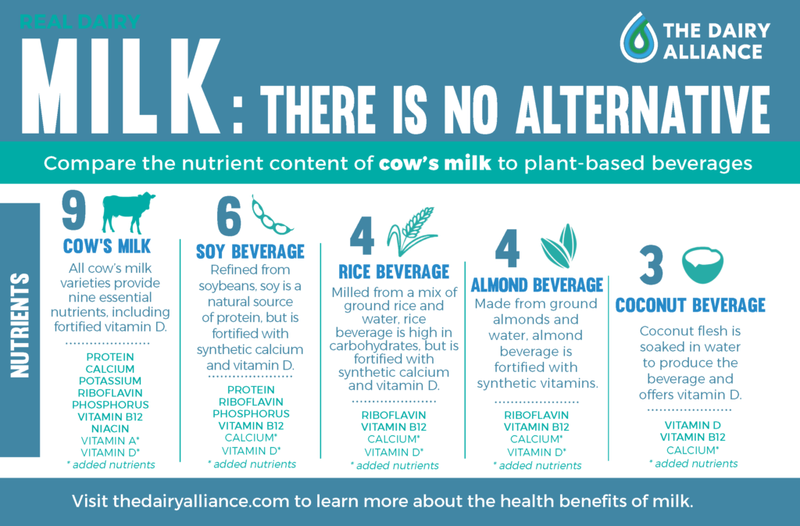 Thanks to The Dairy Alliance for this info. So I invite you today to raise a glass of milk in honor of all the hardworking dairy farmers who do their best to provide you and your family with a wholesome and nutritious product. Hi Y'all! I haven't blogged regularly in over a year! I can't believe that it's been that long! Lots of have changed in the last year and I can't wait to share it with you! Before I dig into an update, I want to welcome all those who might be new to my blog! Thanks for stopping by and learning more about our faith, farm, and family! A little background info...my husband and I are 11th generation farmers...I always said 10th but we have learned in the last year that I calculated wrong. We have a family owned and operated dairy in South Carolina. There are less than 50 other dairies left in our state! We farm along with my husband's parents and our 4 farm kids. For years I worked full time off the farm however in November I quit my job to stay at home and help on the farm! Talk about a big adjustment!! So far I am loving it! Now I'm not saying my house is cleaner or that I'm caught up on laundry or that I have started tackling that long list of "things I want to do". I am saying that I get to spend more time with my family, I am happier and I am doing what I am passionate about. My days consist of school drop offs & pick ups, feeding babies (human and bovine varieties), washing dishes, doing laundry, squeezing in time to read my Bible and churn out a few stitches, baking and chasing after little ones. I wouldn't have it any other way...even though it also means you may find me in the milk parlor more than the house, many times covered in poop & baby vomit and there aren't as many dress up days for the Princess Farmgirl. now tell me what you would like to read about? I link lots of my memories in life back to food. Lacy cornbread, banana pudding, red velvet cake, Christmas fudge, vegetable soup and much more. Typically it was made from scratch and frugal. Since I'm on maternity leave and only have 4 weeks of paid leave...feeding my family frugally is of utmost importance. So this month I am going to share recipes, budget, meal plans and memories. These recipes won't be fancy company cooking but simple meals that feed my family. Some will be generations old while others will be fairly new. All will be tired and trued meals that have been enjoyed by my family. To give you an idea our meals typically consist of a meat, a vegetable or two, some bread and something sweet. Most of my recipes will be for meat dishes, bread, and something sweet. I have a couple for veggies but in reality I don't fancy up our veggies often. So stay tuned for simple, filling meals that are easy on the budget. This week we were blessed to have newborn photos of our newest addition. If you are local to us please check out Muggshot Studios. They are AMAZING to work! They take their time to ensure they get just the right shot. If you have ever tried to snap photos of a newborn then you know that can take a while!! These photos are cherished because let’s be honest we all know that #babiesdontkeep and they #growtoofast. Already our newborn is changing into an infant...staying awake longer, more alert, and attempting to hold her head up. The old saying the “days are long but the years are short” is driven home into my heart daily. The newborn session documents a short window in life but for us it also documents something else...the love of generations. You see my Granny Price was a crocheter...she constantly had a project going. All of her grandchildren recieved a full size (or larger) blanket crocheted in requested colors for graduation (mine was red and black). She also crocheted the tops of dish towels to give as Christmas gifts and almost anything else you can imagine. My favorite things she ever made were 6 baby blankets. You see all through high school the joke was I wanted a big family...6 kids to be exact...a basketball team and a spare. Well my Granny made me six baby blankets. You might think well lots of grandmothers do that...well my Granny had these 6 blankets ready for me within a year of getting married. I’ll be honest at the time I was a little frustrated as we started trying not long after we got married and struggled to conveice for a couple of years. Purple blanket crocheted by my Granny. When our oldest was born I cherished that blue blanket...my dear Granny had passed away just 10 months early. She never got to meet any of my sweet babies...whom we all know she would have loved and rocked and spoiled as she did her other great grands. Thankfully at each newborn session we are able to document that love by including the blankets that she made. So are you wondering what colors she made? Because I have always been amazed by that...she made a blue, a green, a yellow, a white, a purple, and a one that is green, yellow and white. While we have enough of each child and I always thought I would “assign” blankets to them...I have decided that while we do use them I will keep them and as my children have children (way in the future) I’ll give them one of these treasured blankets for their own babes. So they will get one crocheted blanket from their Great Granny and I too will make something (clothes, quilt, blanket) for each as well. I don’t think you can truly appreciate little things like handmade baby blankets years in advance of needing them. For our newest addition its even more special as she was named for my Granddaddy (my Granny’s husband). My sister put it best when saying we can hear them say “Caci...what are you thinking...Clark isn’t a girl’s name!” All the while smiling. Did you have something special that was made for your children? Share about the item below in comments. Are you a babywearer? Do you you use a soft structured carrier like a Tula or Ergobaby? Maybe you are more of a stretchy wrap wearer or you like the feel of a woven wrap. It might be none of the above and maybe you prefer a ringsling. 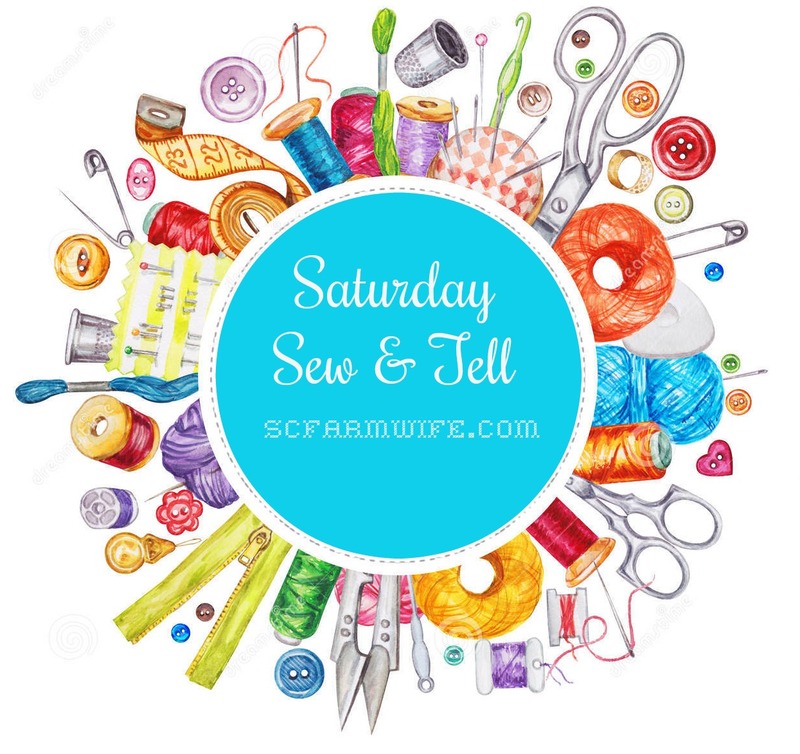 Check out all the various options I have pinned :) Continue reading to learn more about what we have tried and what we prefer for various stages. As a parent for the last 9 years I think we have tried almost every type of carrier. We have found that even on the farm it’s easier to wear baby than it is to lug a heavy carseat. We have also used options in all price ranges...from the super cheap ones you can get at big box stores to more pricey custom options. So after wearing our 3 big kids and now another newborn what are our favorite options? During the newborn stage I love a wrap (stretchy or woven). It takes a little bit to learn how to wrap but with a little practice it’s quick and easy. You can visit my Pinterest board here to learn a few various ways to wrap. With our newest squish I am also loving a ring sling. I find it faster than a wrap. I’m still learning various positions and how to ensure the sling is tight enough without being too tight. I think it will be easier to nurse in this option than any other. As our kids get older I find the stretchy wraps to become a little more difficult to use...mainly because our kids get heavy fast. The stretchy wraps seem to sag when the kids weigh about 20 lbs. This is also about the time that they can comfortably ride in a soft structured carrier (SSC). After many trials and error I have found that our favorite SSC is a Tula. Want to talk fast...want to talk easy...the Tula has both of those covered. Plus the Farmer is more willing to use it than the other options. He says it’s more comfortable. We don’t have an infant insert for our standard Tula so we have to wait until they are big enough. It forces me to explore other options. So are you a babywearer? What is your favorite type of carrier? A little over 2 weeks ago our family was blessed with our newest addition. Sweet #Farmgirl2...she came into the world at 8 lbs and 10 oz and 18.5" long. Everyone in the family is over the moon about sweet baby Cora Clark. For the Farmer & I we entered a new parenting realm...3 kids 4 & under. 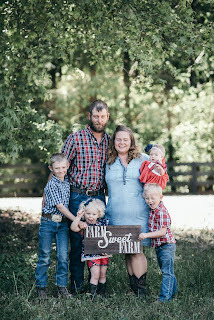 While the Farmer and I have always dreamed of having a "big" family for years we were sure if that would happen for us. We tried for just over 2 years to get our oldest and then it took 5 long, stressful years to get our 2nd. After that we have been blessed with 2 more rather quickly. Each of our children are a blessing with vastly different personalities. God is working on me to learn how to appropriately handle each of them. I have found that I need to spend more time digging into God's word and being reminded of how patience, gracious, loving and forgiving he has been to me so that I may try to emulate those characteristics to my children. I struggle most with our oldest at the moment. At 9 he's testing new boundaries and gaining a bit of an attitude that I imagine will be very different from his younger siblings. He is so much like the Farmer...not only in looks but in attitude and actions. He is tenderhearted and compassionate...which means that he takes your words to heart in a very different way from our younger ones. As a parent some days I struggle to find the best way to speak to him so that he understands my expectations and not feel like I am belittling him. Prayer goes a long way in case you are wondering...I'm working on being more purposeful in my prayer life and spending time daily in prayer for each of our children. So what about those 3 that are 4 and under...well I'd be lying if I didn't admit that it's hard and some days are harder than others. It's mentally and physically hard. I'm thankful for dear friends that get it and who have been willing to help by bringing a meal, offering to babysit or just willing to chat when I've had my fill of PBS kids for the day. While our 4 year old goes to preschool 3 hours a day 5 days a week that doesn't always make life easier as I feel like the first half of my day is spent driving up and down the road. Delivering kids to school, running errands and loading and unloading the car. All and all he has honestly adjusted wonderfully to having a new baby sister and loves her dearly. He's a helpful and joyful little man who just needs a few hours outside each day to make life grand. and I could go on but you get the idea...and while yes some of these things she did before she became a big sister (see number 8) they have magnified in intensity. I suppose this is her way of acting out...which again has sent me to the Lord in prayer. What about that newborn we brought into this chaos...well she's the easy one. Typically she stays where I put her. Her request are simple...a clean bottom and milk to drink. She naps like a champ and loves to cuddle. She becoming more alert throughout the day and her favorite time to play is bedtime. Everyone keeps asking how I am doing...to be honest pretty darn good I think. We are making it to school each day, food is on the table and the kids are somewhat clean. I get to shower on most days and have even managed to go shopping with the 3 youngest in tow more than once. I'm loving being at home with the kids and dream daily about being a Stay-at-home-mom. And even though I know that is probably not going to happen right now...I am soaking up the moments, laughing through the tears (cried over liquid gold spills), and being present for each one of our kids. How did your family adjust to having a new addition? Leave your answer in the comments.